A Medical doctor, a Member of The European Medical Writers Association (EMWA) and the editor of NV Medical writing team. With more than 5 years of experience, she has completed more than 1200 writing projects in the niches of health & medicine in many freelancing platforms. She specializes in simplifying complex scientific facts in an accurate and understandable way and creating high-quality content for publishing. 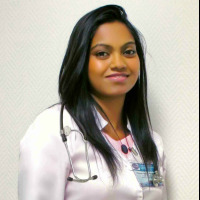 She has experience in writing and editing journal manuscripts, reviews, academic medical book chapters, drug monographs, health and medical articles, health awareness books, patient information content, patient education content, CMEs, MCQ kits, slide kits, professional training materials, research proposals and content for healthcare products.